This is a business card design challenge which is optional for Major Project students in Raffles College of Design and Commerce to participate in order to promote their work. 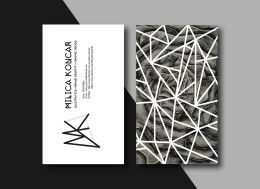 My objective was to design business cards that would reflect skills and specialty. Being a mix media enthusiast with a love both traditional and digital designs, I took the initiative to come up with a series of cards. It features a choice of colour and style to pick when it comes to future networking events.